Xaxaba Mobile Camp is located in the heart of the Okavango Delta and overlooks the famous Chief’s Island, and is not fit for self-driving. There is a private airstrip (Xaxaba) that serves the island. 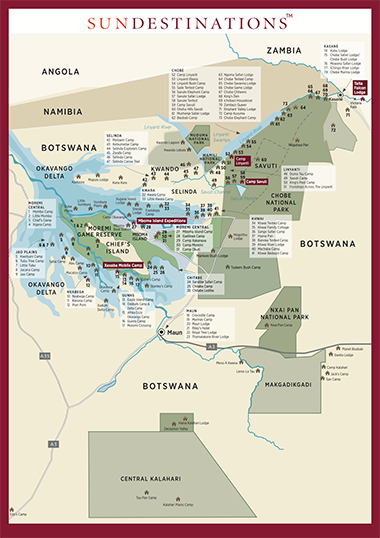 Guests will need to fly into Maun and hop on a connecting flight light air transfer to the safari airstrip. Upon arrival at the airstrip, guests will be transported to the island via a 20 minute boat cruise.